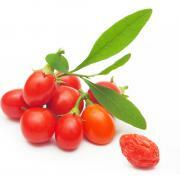 Goji Berry (Lycium Barbarum) - Goji Berry plants, also called Wolfberry, are drought tolerant and prefer well-draining soil. 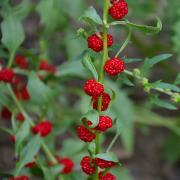 They do best in USDA zones 5 - 9, tolerating temps down to -10 F and will flourish well in the dry west or humid east. Mouse Melon (Melothria Scabra) - If you are looking for an unusual fruit known as a cucurbit, then Melothria scabra fits that bill. This herbaceous climber in the cucumber family is grown for its tiny edible fruit that looks just like a miniature striped watermelon. 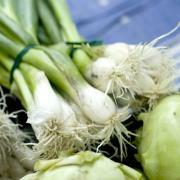 Sweet Onion (Allium Cepa White Lisbon) - Plant produces excellent yields of good quality bunching onions. 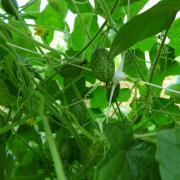 It has dark green foliage and long white stalks that hold up well after harvest. Onion does not form bulb.